Turns out your diet may be healthier than you think. 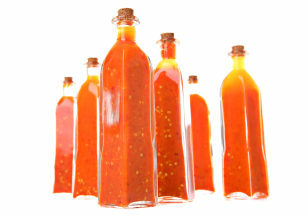 Those little extras you love like ketchup on burgers or hot sauce in tacos have hidden health benefits. New research shows that certain spices, herbs, and spreads not only boost flavor but can also help curb appetite, ease digestion, and even promote better memory. Here are nine to have on hand. Dark honey like buckwheat or blueberry contains the most antioxidants, say researchers at the University of Illinois Urbana-Champaign, who analyzed 19 varieties. Antioxidants protect cells from the damaging effects of free radicals and may reduce the risk of heart disease, cancer, cognitive decline, and macular degeneration. 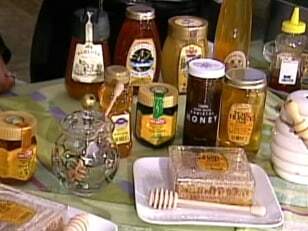 Serving tip: Honey has a strong flavor, so add in small doses to oatmeal, plain yogurt, and tea, and use instead of refined sugar, suggests Stern. Whisk it into homemade salad dressing for a touch of sweetness. 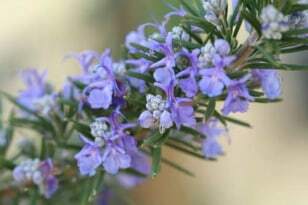 Rosemary minimizes or eliminates carcinogens formed when cooking some foods, say scientists at Kansas State University, who found that seasoning beef with rosemary before grilling can reduce cancer-causing substances called heterocyclic amines by 30 percent to 100 percent. Danish scientists got similar results when adding rosemary to dough. Acrylamide, a potentially carcinogenic compound, forms in carb-rich foods when heated above 250°F. "By incorporating 1 tablespoon of dried rosemary for each pound of flour, we reduced acrylamide by more than 50 percent," says Leif Skibsted, PhD, a professor of food chemistry at the University of Copenhagen. He believes that the antioxidants in rosemary "scavenge" the harmful compounds. Serving tip: Add 1 to 2 tablespoons per 2 pounds of pork loin, steak, or lamb, or spread a paste of chopped rosemary, Dijon mustard, garlic, and coarse sea salt on meat before cooking, suggests Marc Meyer, executive chef at Cookshop, Five Points, and Hundred Acres restaurants in New York City. Stuff chicken or turkey with citrus fruit and rosemary sprigs, then roast. Glucosinolates, compounds in the roots and leaves of the horseradish plant, can increase your liver's ability to detoxify carcinogens and may suppress the growth of existing tumors, says a study in the Journal of Agricultural and Food Chemistry. Horseradish is one of nature's best sources of glucosinolates — it has up to 10 times more than broccoli, the next-best source. 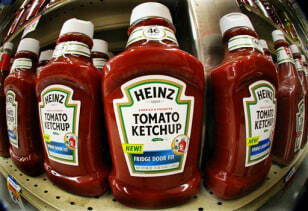 Serving tip: Mix into ketchup for a cocktail sauce or mustard for a sandwich spread, or add to yogurt to serve with lamb or fish, says Stern. Make a dip, adds Zuckerbrot: Combine 1 cup nonfat Greek yogurt, 1/2 cup chopped dill, 3 tablespoons bottled horseradish, and 1/2 teaspoon salt; enjoy with whole wheat pita chips. 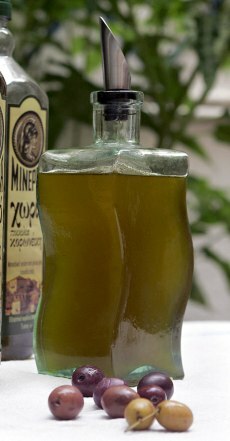 Olive oil is a top source of oleic acid, an omega-9 fatty acid that is converted during digestion to oleoylethanolamide (OEA), a hormone that helps keep brain cells healthy. In a new study from the University of California, Irvine, rodents fed OEA were better able to remember how to perform two tasks than those that didn't eat it. Researchers hypothesize that OEA signals the part of the brain responsible for turning short-term memories into long-term ones. "OEA seems to be part of the glue that makes memories stick," says Daniele Piomelli, PhD, a professor of pharmacology and biological chemistry at the university. Serving tip: Drizzle on roasted veggies or salad, or mix with crushed garlic and a pinch of salt and spread on toasted whole grain bread. Or blend equal parts olive oil, balsamic vinegar, and water with a squeeze of lemon and use as a dip for crisp veggies like radishes or cucumber. 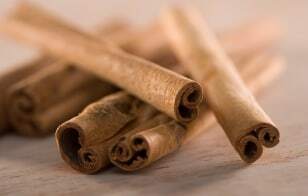 People who added cinnamon — one-half to a heaping teaspoon — to a sweet dish experienced a slower rise in blood sugar than those who didn't consume any, found a series of studies in the American Journal of Clinical Nutrition. The spice enhances insulin sensitivity, so it allows you to use more of the glucose in your blood, keeping blood sugar levels stable, says Joanna Hlebowicz, PhD, the studies' lead researcher and a fellow in cardiology at Lund University in Sweden. Adding cinnamon to a carb-heavy or starchy dish may also help stabilize blood sugar after you eat, she adds. Keeping levels stable minimizes sugar highs and lows, and for those with diabetes, it could mean needing less insulin. Serving tip: Sprinkle on cake, cereal, or a latte. Work into starchy meals, like rice or grain dishes, by grinding together with cumin, coriander, and caraway and adding chopped nuts and dried fruit for a Mediterranean flavor, recommends Meyer. Sauerkraut is full of probiotic bacteria such as Lactobacillus plantarum (L. plantarum) that can help relieve the gas, stomach distension, and discomfort associated with irritable bowl syndrome — and may improve the quality of life in up to 95 percent of those with IBS. 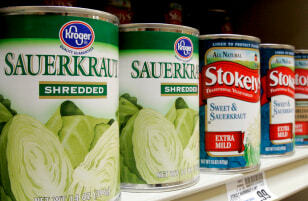 Serving tip: Use fresh sauerkraut (it has more probiotic bacteria than jarred varieties) as a relish for grilled meats or lean turkey hot dogs. Or toss into a veggie and tofu stir-fry, says Andrea-Michelle Brekke, RD, a nutritionist in New York City. Piperine, a compound in black pepper, may help interrupt the self-renewing process of cancer-initiating stem cells, according to new research from the University of Michigan. "By limiting the number of stem cells, you're limiting the number of cells with the potential to form tumors," says lead study author Madhuri Kakarala, MD, PhD, a clinical lecturer in internal medicine at the University of Michigan Medical School. Serving tip: Sprinkle on all your favorites; to up the heat and add texture, toast whole peppercorns before grinding, suggests Stern. Mix into plain yogurt and use as a topping on fresh fruit, he adds. >> interior designer nathan turner has some out of the box ideas. happy fourth of july. >> what is a fourth of july without hot dogs ? >> doesn't get more american than that. >> this is a great machine. >> don't you love this? >> it's $39.99. 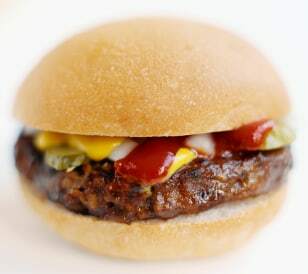 the buns go in the top. >> stop. let me see that. >> you heat them up. >> everything is ready to go. >> you can do eight at a time. >> and how long do they cook? it's slow cooking . >> we put those on ten minutes ago. >> they are revolving around. >> now, this is one of my favorite crazy new things. this is a condiment gun. so be careful. >> kids will go baba tha bananas for this. >> they're going to want to use it on everything. that's trouble. >> that's fun. how much is that? >> and how do you get the mustard into the thing? >> it's super easy. it's like loading a gun. right? >> you have to buy their mustard? is that the deal? >> no. you have your own. >> i like how you set the table. >> thank you. and this is a really kind of do-it-yourself -- this is almost everything from a craft store. >> this is from the garden. >> right. red, white, and blue. this is something you can have the kids do. this is craft paper, blue craft paper. red runner. put it on the seat. fun wax crayons so we can kind of scribble and doodle and write their names on it. i have red and blue bandannas, super cheap. you can get these anywhere. >> i love your favor things. >> that is so easy to do. i just did little, you know, stamps with ink pads and personalized everything. little money, big results. >> did that with these cups, too. these are just plain, white, super cheap. >> what did you do? >> and kids to do stencilling like that. >> right? make them set the table. >> send them out with paper and some tape. >> these -- i love -- paper on the table, okay, paper plates drive me nuts. so i like all these alternatives. we have the enamel wear and these great old-fashioned lanterns from pottery barn and really reasonable. >> down to the december sertd section. >> what is more american summer than ice cream ? >> but ice cream is really messy and people don't know how to serve it. it ends up with this creepy bowl with liquid. >> i know. so here are a couple tips to kind of pre -- you know, predo your ice cream . i like to prescoop, put it on a cookie sheet with saran wrap over it. you can line that up, put it back in the freezer and right before serve it all in a bowl. >> very nice. he's a prescooper. >> i am a prescooper. ice cream -- ice cream cones drip, and that's another mess. so pop a couple little marshmallows in there. >> marshmallows. soak it up. good. >> and another kind of way to have this all done so it doesn't do this is take your scoop that we've already done. >> do you want us to do something? >> yeah. grab one. and then do a little -- your favorite topping. >> you like -- this is going to make your teeth blue. >> i'm not eating it. i'm just making it. okay. that's beautiful. >> you guys get to hold it. >> just look at this. >> this is what you don't want. >> this is definitely a don't. okay. >> of course we have nothing around here to -- wait a minute! you've got two napkins! see? here you go. >> okay. this is cute here. >> again, you know, i'm a prescooper, so here we have them again. and little prescooped on these little craft sticks. >> so just eat it that way or you just leave it in the bowl and eat it with a spoon? i'm just asking because the people at home want to know. >> yea, they do want to know. you eat it that way. >> this looks fun. just a few seconds left. >>> this is a home soft serve machi machine. i love this. i had it over the weekend and used it all weekend long. a freezer bowl , a recipe and there you go. it mixes toppings in, by cuisinart. >> i can see some alcoholic sundaes. >> i love icy drinkie. this is an adult root beer float. it sounds bad but it's amazing, guinness and vanilla ice cream. i'm not kidding. it's really good. how about a mojitmojito? >> thank you, they than. >> instead of lime juice , a scoop of lime sorbet. >> nice talking to you. >> happy fourth of july. sunny taste. sunny spirit. sunny d .